LiteTEL LT1850 Price in Bangladesh! You know that LiteTEL is the most popular Brand. We provide the LiteTEL LT1850 smartphone full Details, Feature, Specs and full specification. 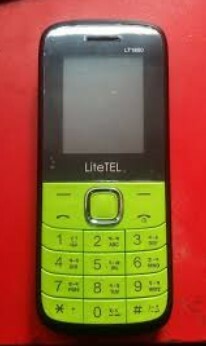 The LiteTEL LT1850 Price in Bangladesh is 875 taka. It has a 1.77-inch Display. The smartphone Screen Resolution is 160 Pixels x 240 Pixels. It has a 1750 mAh Battery. If you want to buy this smartphone and before buying the smartphone you want to check LiteTEL price in Bangladesh, Feature, Specs and more, just continue reading the full content and get the full idea about LiteTEL. Price in BDT LT1850 Price in Bangladesh 875 TK. Status Available in Bangladesh Local Market. Display 1.77” inches QVGA Display. Resolution 160 Pixels x 240 Pixels. SIM Dual SIM Cards (Dual Standby). Battery Li-Ion 1750 mAh Battery (Power Bank). Features Big speaker, Big Battery, Torch Light, Wireless FM, Keypad Notification Light, Torchlight Notification, Battery Saver, Auto Call Recorder, Mobile Tracker and Magic Voice, etc. DO, you have any question about LiteTEL LT1850, Just comment here? We solve your problem as soon as possible. Finally, we hope that you have successfully understood about LiteTEL LT1850 full concepts. Thanks for staying with us.